Singer Fantasia Announces New Album Coming Soon "Christmas After Midnight"
BHR Hollywood Reports.........The album features renditions of Fantasia's favorite holiday songs, like "This Christmas," "Silent Night" and "Have Yourself A Merry Little Christmas." In a statement, the Grammy-winner says, "I'm so excited for my first Christmas album. My grandmother Addie Collins' birthday was on Christmas Day." Fantasia continues, "She was a loving woman who helped all her grandchildren understand the true meaning of the holiday, its impact on our spirituality and character as well as the importance of recognizing the value of family and significant relationships. This album is dedicated to her." 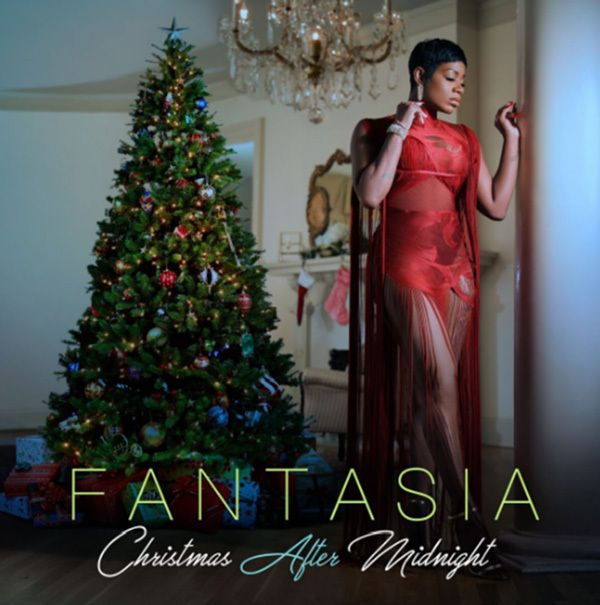 According to Fantasia, the album is an ode to singers of yesteryear who have influenced her work. “This album pays homage to my grandmother and is a gift from me to all of those who remember their grandparents or parents putting up Christmas trees and being a blessing into people’s lives,” she explained. “I’d also like to pay homage to the great singers like Billie Holiday, Ella Fitzgerald, Frank Sinatra and Ray Charles who stood strong in what they believed in—the music.